In a large bowl, blend remaining ingredients with a wire whisk. Pour mixture evenly over the arranged bread slices. Press down on bread slices until some liquid is absorbed and the slices do not float. Serve hot and garnish with a sprinkling of powdered sugar. 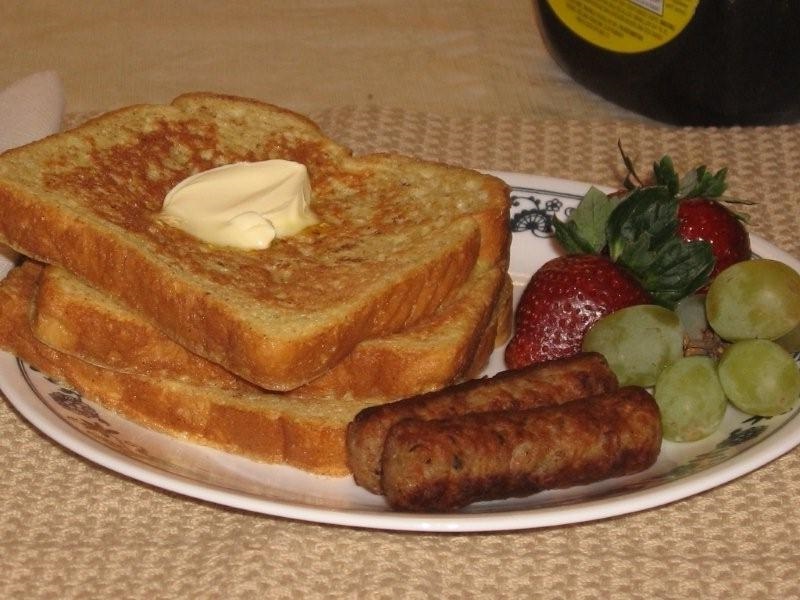 Suggestion: Freeze leftover French Toast in an airtight container. To Reheat: Remove from freezer. Let come to room temperature. Then arrange on a baking sheet and heat in a 350°F oven until hot.